This powerful naturopathic first aid herb has antibiotic and antiviral properties and has the capacity to protect against pandemic-related illnesses. Good Day to you Ready Nutrition Readers! Today’s article details Lomatium, the most powerful herb in North America for use as an antiviral or antibiotic. After reading this article, you may wish to add this herb to your naturopathic first-aid arsenal and include it in your stores of preps. 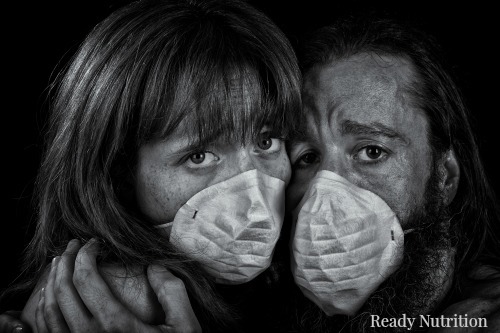 The bottom line: those who used Lomatium during the 1918 Spanish Flu pandemic survived the virus and all of its complications. Nifty, huh? There are 11 species of the genus as identified by the U.S. National Herbarium back in the year 1840, and three that hold special medicinal significance in the field of naturopathic medicine: Lomatium dissectum, Leptotaenia dissecta, and Leptotaenia multifida. The one we are going to focus on primarily is Lomatium dissectum. The following list gives the indications and uses for the herb: Coughs and associated illnesses of the throat, allergies, bronchitis, pneumonia, asthma, influenza, tuberculosis, venereal diseases, and distemper. 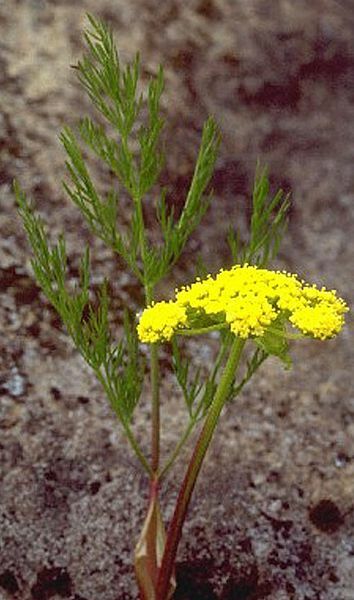 Lomatium is also a healing agent in cuts, abrasions, sores, and rashes of the skin, as well infections of the eye and an external wash for smallpox. It has additional uses as an antiseptic rinse. One of the pioneers of its study and use was an individual named Ernest T. Krebs, a biochemist with a very good background in medicine (as his father was a physician). He wrote a treatise that outlined the results obtained among the Washoe Indian Tribe during the time the pandemic was running rampant in the U.S. and throughout the world. During the Fall of 1918 when the influenza visited Nevada, the Washoe Indians used a root in the treatment of their sick. The plant proved to be a rare species of the parsley family (Leptotaemia dissecta). .. There was not a single death in the Washoe tribe from influenza or its complications, although Indians living in others parts of the state where the root did not grow died in numbers. A preparation was prepared and employed in a great many cases among the whites from the mildest to the most virulent types of influenza, and it proved, among other things, that it is the nearest approach we have today to a specific for epidemic influenza and the accompanying pneumonia. Where used early, it proved itself to be a reliable agent in preventing pulmonary complications.… Its therapeutic action in this direction is established and beyond any doubt…. Its action on coughs is more certain than opiate expectorants…. It acts as a powerful tonic to the respiratory mucous membranes…. It is a bronchial, intestinal, and urinary antiseptic and is excreted by these organs…. It is a stimulative and sedative expectorant. Suffice it to say, readers, this herb bears particular value for preppers and survival-minded groups and families. The root is the primary part utilized within a capacity of naturopathic medicine. Since the 1918 Pandemic and the work of Krebs, numerous other studies were undertaken that proved conclusively the effectiveness of the herb against all of the ailments mentioned. A work was also put out by the USDA entitled “Medicinal Uses of Plants by Indian Tribes of Nevada” in 1941 categorizing its use among three different tribes. Lomatium is readily-available today in tincture and raw-herb form. The Tribes made preparations from the root by chopping it up and boiling it to extract the oil from it. During the pandemic each member of the tribe utilized about a pound of the root during times when the sickness was running rampant. It is available throughout the United States in tincture form and can be ordered from growers to obtain the whole root and also in your better health-food concerns. The root needs to be at least three (3) years old to be able to produce the chemicals that are medicinally-therapeutic in nature. Lomatium has been proven effective against 41 types of bacteria and 21 strains of mold and fungi. Staphylococcus aureus and Escherichia coli are among those it inhibits and kills; these I note for you because they are bacteria that are so rampant in a time of collapse/loss of infrastructure, as well as being found commonly in everyday life. I have been tincturing Lomatium for years, and find that it is easier than boiling the root to obtain the oil. Macerate (chop up) the root as finely as possible, and place the root-choppings into a large glass jar. Then use grain alcohol (such as Everclear) in an amount cut with distilled water to a ratio of 52% alcohol or higher, in order to tincture it. When it comes to Lomatium, I use at least a 75% ratio for my tinctures. The reason is twofold. Firstly, an alcohol-based tincture stores and preserves longer and better than any other form and can be kept for a minimum of 3 years and still retain effectiveness. Secondly, the alcohol will prevent the tincture from freezing by lowering the freezing point of the liquid exponentially, and this is valuable to me as winters here in Montana easily reach -30 degrees F.
Another consideration is that even without such low winter temperatures, if an EMP should occur, how will you ensure that your medicines and tinctures are not exposed to such low temperatures? Proceeding onward, cover your herb completely with the alcohol-water solution, cap up the jar and seal it, and shake it vigorously about 100 times. Do this 2-3 times per day and keep the sealed jar inside of a dark cabinet or place where there is no light. After 2 weeks, you can remove your jar and strain the liquid. Place the saturated herb in a coffee filter, handkerchief, gauze, etc., and press the remaining liquid for your tincture out. All tinctures should be stored in either brown or blue bottles to protect from light and UV exposure. Always label your tincture with what it is, the date you made it, an estimated expiration date, and any other important warnings or considerations you wish to include. At the aforementioned ratio, the tincture produces Lomatium at a 52% solution in a concentration of approximately 325 mg/ml (from an eyedropper, 15 drops = 1 ml. This can be taken preventatively in a time of pandemic 1-2 times per day with juice or water after a meal. The herb is also a perennial and grows sporadically throughout the Northwest of the U.S. and Canada. As with all things mentioned herbally, this article is not meant to diagnose, treat, prescribe, cure, or take any action or activity from a medical perspective, and is provided for informational purposes only. Prior to utilizing any information consult with your licensed family physician for permission and approval. Hope you enjoyed an introduction to Lomatium dissectum, a fascinating herb with a rich and successful history as a naturopathic aid. Have a great day! Have you had any experience with a rash developing with the use of Lomatium? My research shows that is possible but that if combined with dandelion that mostly prevents the rash. Any input or experience with that? Of course, dandelion is a preparation we all should have on hand too. emergencies. Can’t wait to make some!! Being allergic to almost everything under the sun, including all antibiotics except doxycycline, I have read up on a lot of herbals but that’s one I haven’t heard about. I’ll have to do a nature walk and see what I can find. Have you heard of the uses of great mullein, or the antibiotic prepared from honeysuckle blossoms? I just found this. This is great information. Thank you so much. I have copied this to print out. This is some of the best information I’ve found so far on herbal remedies. I’d like to see more. Can you tell me where can i bay that plant or who can help send this to Europe?